Forgot to take my contacts out before I went to bed. For some odd reason I reversed my morning and evening bathroom routines and when I woke up in the morning, I realized that I had done everything backwards and still had my contacts in. Duh. I leave things in random places. I left my face cloth in my craft room closet one morning. I don't even know what I was doing there in the first place - ha ha. I thought I threw my earrings in the garbage but turns out I just moved them to a random place for no good reason. So relieved when I found them. I am sure I will have more and more "experiences" like the above in the second half of my pregnancy. 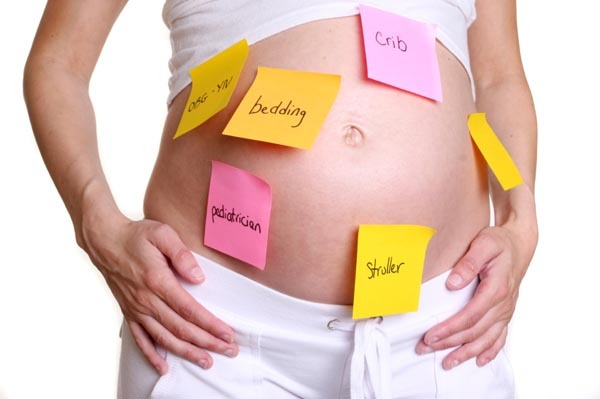 What's the craziest thing you did when you were pregnant?